If you'd like to be able to look out on to the action from your hotel room, check out the Best Western Plus Hotel Moderne and the Novotel Caen Cote De Nacre. If you're looking for more, you can also contemplate the Aparthotel Adagio Caen Centre and the Best Western Hotel Le Dauphin Le Spa Du Prieure. Watch as the pupils and faculty members walk through the grounds of Universite de Caen. Now envisage the similarities and differences between the cultural scene of today, compared to the past. You might be inclined to rest your head at the Ivan Vautier and Mercure Caen Centre Port de Plaisance if this place sounds like something you'd be interested in. Caen Castle has always been a popular place because of its architecture and history. 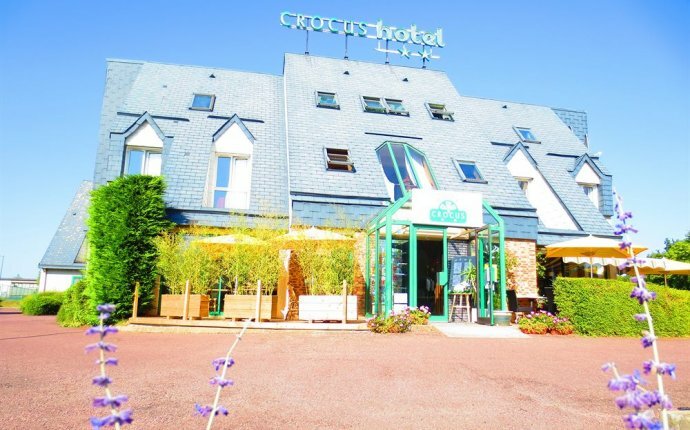 Reserving a hotel room at the Mercure Caen Cote de Nacre Herouville Saint Clair and Royal Hotel Caen Centre are your best options if you'd like to be close to this spot. The Caen area features some affordable accommodation options that will satisfy budget-minded visitors. Some popular choices are the Le Bellevue and the Carline. The Inter-Hotel Le Savoy and the Hotel La Consigne are some more lower priced places well worth looking into. There are some more options here. The Le ChÃ¢teau d'audrieu and the Le Grand Hotel Cabourg - MGallery by Sofitel can be found 11 miles and 14 miles from the heart of Caen. Jetsetters looking for something else can book accommodations at the HÃ´tel Les bains de Cabourg and the HÃ´tel Riva Bella, 13 miles and 9 miles away. Some close by places to explore in Calvados are Colleville-Montgomery and Hermanville-sur-Mer. Colleville-Montgomery is 7 miles to the northeast of Caen, while Hermanville-sur-Mer is 7 miles to the north. Accommodations in Colleville-Montgomery include the Best Western La Mare o Poissons and La Villa Andry. The HÃ´tel des Thermes et du Casino and Le Beau Rivage are some of the accommodation options in Hermanville-sur-Mer. Carpiquet Airport is 4 miles from the middle of Caen. The ibis Caen Porte De Bretagne is only a convenient car ride away.